NewStar PLASMA-C100 – Sølv er et fornuftigt valg til butikker, virksomheder eller offentlige områder. The NewStar ceiling mount, model PLASMA-C100SILVER is a tilt- and swivel ceiling mount for flat screens up to 75″ (191 cm). This mount is a great choice for space saving placement or when wall mounting and floor placement is not an option. 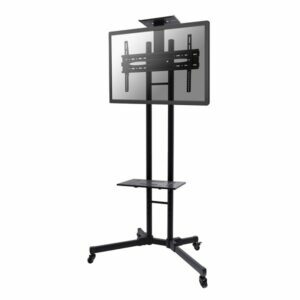 NewStar’s versatile tilt (25°) and swivel (60°) technology allows the mount to change to any viewing angle to fully benefit from the capabilities of the flat screen. 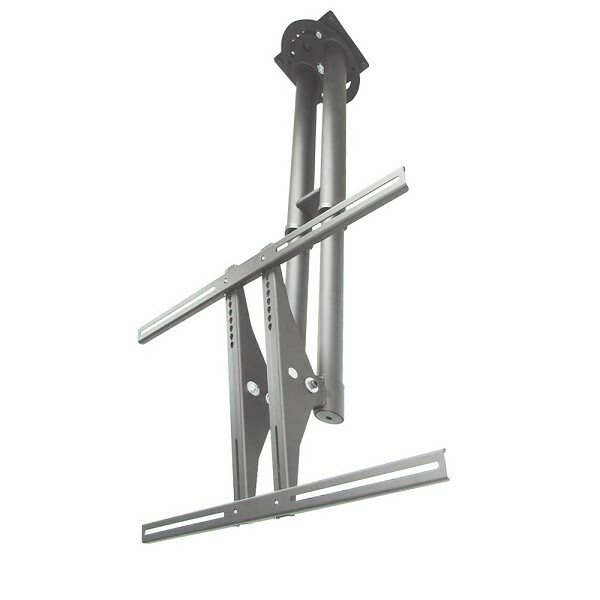 The support is easily height adjustable from 67 to 107 centimetres. If different heights are needed extension poles are available. An innovative cable management conceals and routes cables from ceiling to TV. Hide your cables in the column to keep it nice and tidy. 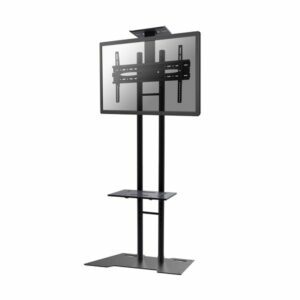 NewStar PLASMA-C100SILVER has one pivot point and is suitable for screens up to 75″ (191 cm). The weight capacity of this product is 50 kg. 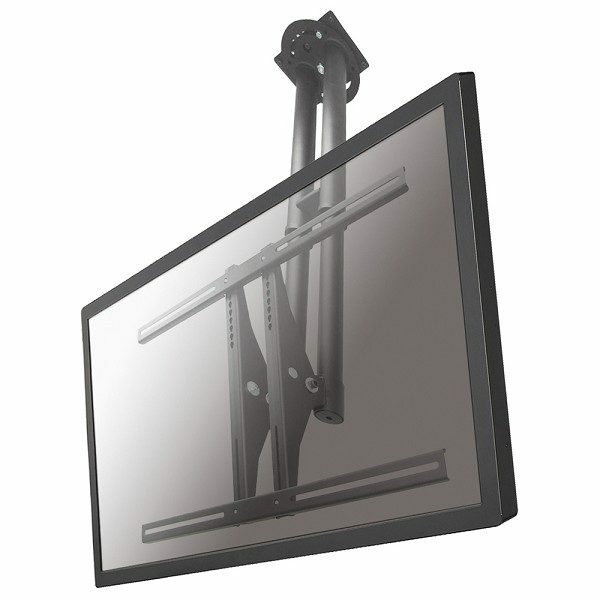 The ceiling mount is suitable for screens that meet VESA hole pattern 200×200 to 800x450mm. Different hole patterns can be covered using NewStar VESA adapter plates.